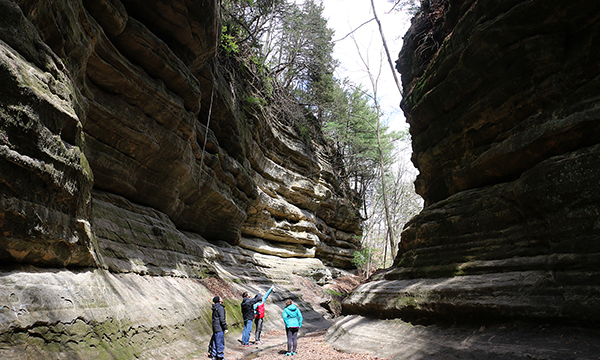 LaSalle Canyon parking lot also known as Parkman's Plain along route 71 and the eastern edge of the park will be closed to all vehicles and pedestrians beginning Saturday, March 23rd through July 1st of 2019. 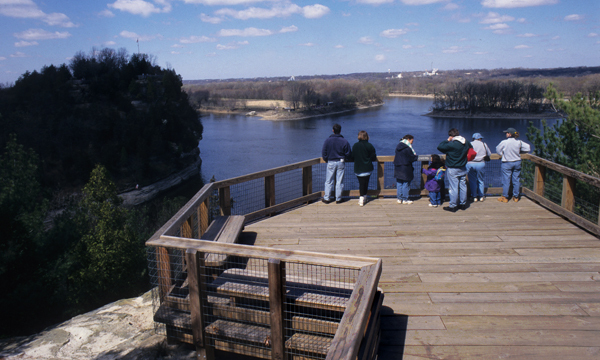 Trails remain open and visitors may park at the Hennepin Canyon parking lot further east along route 71 and hike in to LaSalle Canyon or they may hike along the Red River trail from the Starved Rock Visitor Center or Lodge. 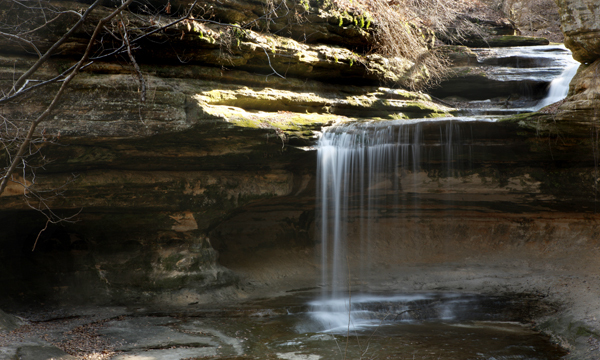 Starved Rock State Park on the Illinois River bluff in La Salle County is one of Illinois'​ most beautiful destinations. 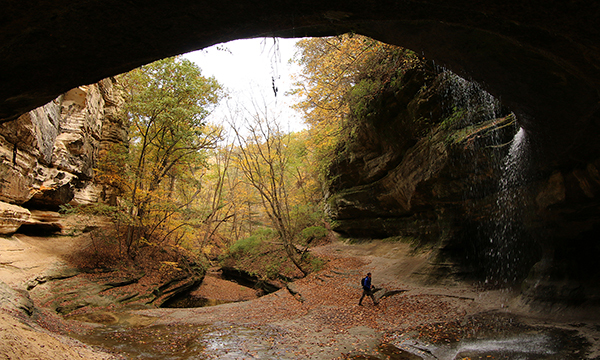 The park's 18 canyons feature vertical walls of moss-covered stone formed by glacial meltwater that slice dramatically through tree-covered sandstone bluffs. 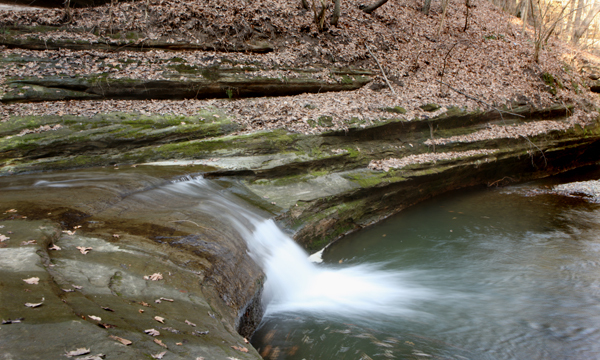 More than 13 miles of trails allow access to waterfalls, fed season runoff or natural springs, sandstone overhangs, and spectacular overlooks. Lush vegetation supports abundant wildlife, while oak, cedar and pine grow on drier, sandy bluff tops.